Thank you Judith.. I am thinking about what the next garment will be?? This is so cute! I joined the challenge but have been canning not sewing... Sewing will be started soon. Thank you. I understand...I haven't been sewing for the challenges either..[too much to do,ha].. Hope you get to sew soon. I like the color. I tried to make a garment of the month, but I don't know if I'm going to eek it out. How's the cabin? Stacie.. .so hard to find time,isn't it. Thank you, I had the pattern forever, and just had never used it.. Proud I did.. It is super comfortable to wear. I love it!! I love your fabric choices! Pink and green is one of my favorite color combinations! Thank you Stacy.. I like pink and green too.. The floral had little bits of the green it..So in person, It really went together ... My camera is not the best, and doesn't pick up well..eeeeh!! I love it, so summery!! 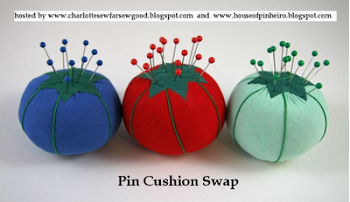 Thank you Maryanne, fun/easy sewing project. I'm a bit late getting here Judy - it was paperwork day for husband yesterday (sigh...). The top is really pretty - I like pink and green as well. It looks so right for the garden - and your garden looks lovely. Eeeeh Paperwork.. I so hate it..
P.S. I'll put your tunic into the Saturday post - you don't have to do anything, I'll download it. This is so cute, Judy! I think I would love this in a little longer length...to wear with leggings! Love your choice of colors...of course, Minnie Mouse would have been the best! LOL! Thank you Laura..[I think we REALLY need us a minnie mouse version.ha]. Hugs. Oh this is very nice Maw! I love the shade of green and that pink print is the perfect compliment. Cute, chic and comfy looking! Jackpot! Thank you.It was fun to sew for me... It is very comfortable..
Judy, your tunic is lovely and lovely on you. Such pretty colors! I'm glad you found time to sew something for yourself pretty photos too with the sun shining! Thank you Cathe... The sun was shining..Such a pretty day..
Love your tunic. The colors are lovely on you! Thank you.. It was a fun and easy project.. 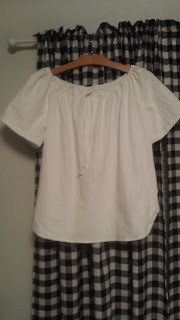 Thank you Gaye, I love it.. Super simple to make.. and It is really comfortable. Thank you. It is so comfortable and wearable. I am trying to use up some of my stash---however ,I must confess--- I have added some to it too. Oh...I just can't resist,ha. Gorgeous colors - very summery! Thank you.. I am enjoying wearing it. You look so well and relaxed in that.. Really suits you. Thank you Diane, It is a really comfortable top.. I am getting lots of wear from it..